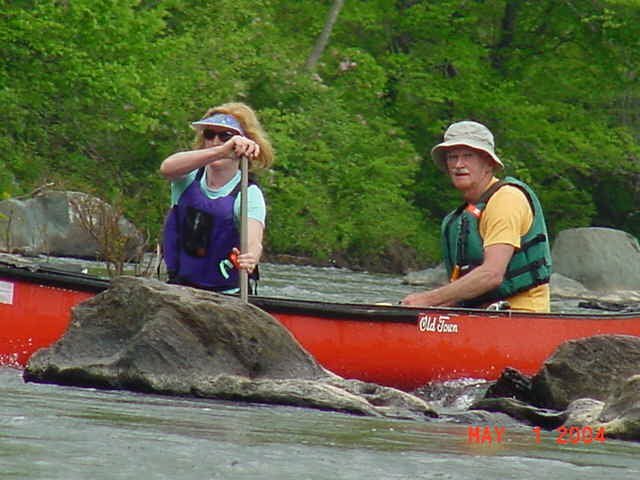 Lynn and William McDuffie relax after turning in the best time for the 2004 race, bar none. Lynn and William are one of the best mixed tandem teams in the country. 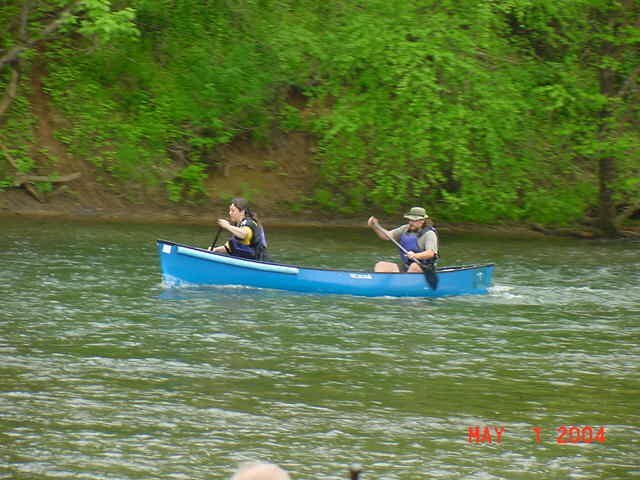 Karla Havens and Ed Sharp negotiate a tight rapid en route to a second place finish in OC2Mixed. Frequent National Champions, Karla and Ed are not accustomed to 2nd place finishes. Lena Conner and Dave Welker show determination to finish 3rd in a class populated with National Champions. 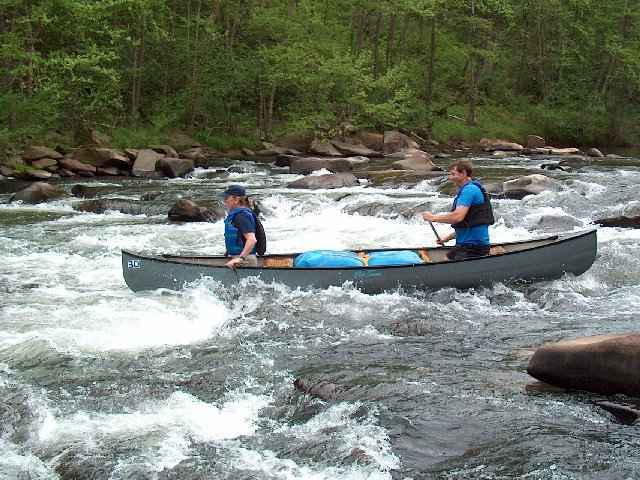 David, an excellent tandem paddler, holds a course record with his dad, Phil, at the Great Rappahanock Race. 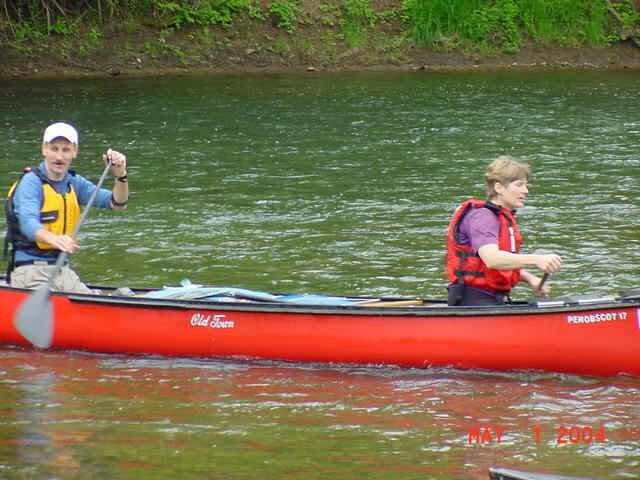 Jim Luther and Denise Mull, in a strong effort, trim almost 10 1/2 min. off their 2003 time - that's incredible. OC2 Mixed may well have been the most competitive class this year.